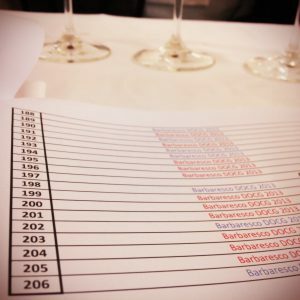 Up for examination were the following wines: Barolo (2012 and 2010 Riserva), Barbaresco (2013 and 2011 Riserva), Roero (2013 and 2012 Riserva). 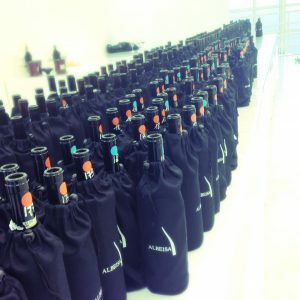 While the entire tasting is done blind (producer names are not given until the end of each tasting day), the village denominations are grouped and revealed to the journalists beforehand. With over 100 wines to assess each morning, there isn’t time to deeply analyze each and every one. Having done the event many times, I focus on getting an overall impression of each vintage for each denomination and villages, while noting obvious standouts. I make brief tasting notes for each wine and score top wines with three stars down to 2.5, and so on to 0.5 stars. I don’t give any stars to wines that are acceptable, however not spectacular in any way. The 2012 growing season started with a very wet winter and spring. Warm temperatures and continued precipitation in June contributed to vegetative growth but reduced berry set. 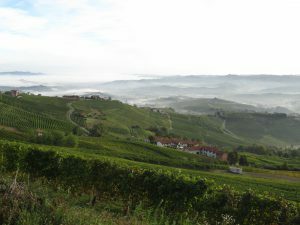 Neither was a huge concern as less compact clusters help preventdisease and the soil’s water reserves helped the vines survive a very hot late summer.Though results for 2012 Barolo were mixed, some villages—and wines—clearly outshone their counterparts. The 2013 growing season in Piemonte was a funny one in that everything was delayed by about two weeks. Low temperatues slowed the vegetative cycle in the spring and while cool weather can lead to good acidity levels in resultant wines, it also necessitated longer hang time in the fall, which led to a vintage with mixed results. While aromatics could be lovely, some wines were herbal and thin. Some examples seemed too advanced or were thick with bitter tannins. The best 2013 Barbarescos find a nice balance in range of aromas and flavors. The wines came in all over the board. The 2013 vintage of Roero (23 wines; 19 stars) and 2012 Roero Riserva (24 wines; 16 stars), as a whole, were the best I’ve ever tasted! 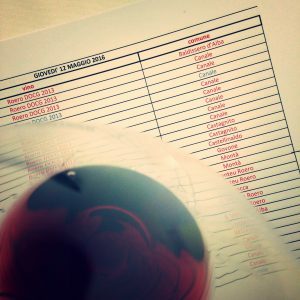 Normally as a category Roero can be a mixed bag but not in these vintages; overall they were some of the best wines of the week. The bes t 2013s did an amazing job showing off pretty Roero aromatics, redolent of orange peel, strawberry candy, and mint or sometimes a mix of dark fruit, forest and cocoa. Either way the wines are perfumed, lush and charming. One of the best examples of the latter style was Malvirà’s 2013 Roero Classico. Their 2012 Riservas showed amazingly well too; my favorite was the Vigna Trinità. Powerful aromas of violets and roses lead to a refined integration throughout the palate of bold and juicy fruit as well as cocoa-powdery tannins. Other notable bottlings from the 2012 Malvira Riservas were the Vigna Mombeltramo and Vigna Renesio. Find more information about the event and the Albeisa organization at these links.